BUCKLE UP, superhero fans, because the most anticipated superhero movie (or so its called) is finally here. An introduction is in order though. “Watchmen” is a film adaptation of the graphic novel (comic book) that came out in 1986. It is set in an alternate 1980s universe, where the US is about to go to nuclear war with the Soviet. That is hardly the tip of the iceberg though, since the universe created by the series of comic books back in the 1980s was much more complex. It is this complexity that makes the movie a treat to watch. A word of warning however, the movie is quite detached from reality, so if you want drama, go watch The Wrestler or something, because this movie will not offer an ounce of realism. This is pure fantasy at its best. The movie starts off with the death of a superhero, who gets killed. Superheroes, in the movie, are either retired 'heroes' or working for the government, and costumed crusaders are banned as outlaws. With the death of the hero 'Comedian', whatever delicate balance was in question gets broken, and the events of the movie take place. One of the lead characters, Rorschach/Walter Kovacs, played by Jackie Earle Haley, goes off to investigate this murder. You could say he's the lead character but he's not. Instead, “Watchmen” follows the exploits of a whole team of superheroes. Silk Spectre, Rorscharch, Ozymandias, Nite Owl, Dr. Manhattan and The Comedian. The film does not shove into your face (and I'm paraphrasing) a preconceived notion of good or bad, but rather lets you follow the exploits of these five totally different characters, and lets you decide for yourself. The good things about the movie make quite the list. The world created by director Zack Snyder is just brilliant. This faithful recreation of a comic book only brings you in closer to the comic book world that gripped millions in the 80s, the city isn't a hollow shell to house the events of the movie, but rather a character in itself. The interweaving stories take place seamlessly, and the story progresses, as it should. The action, needless to say, is epic. Some fight scenes can make it to the 'best fight scene' list without a sweat, and the visual effects are also quite stunning. This isn't really a plus point considering current times, since even video games have achieved movie like visuals. However, it is something that draws you into the movie. It is definitely gory, and the number of bones broken start going up real fast real soon. The soundtrack is quite good, but nothing exceptional. The acting, although not the strongest point in the movie, never goes to cheesy Colin-Farrell-Daredevil levels. They keep a standard, and make sure that the superheroes have character. These aren't mindless people beating up other people, but they have distinctly discernible characters that help carry the movie forward. The movie is LONG. Runtime is 162 minutes, but it felt like more, that's not to say that its not a good movie, but generally if you want an action movie, you want it delivered in a nice little small package. The scenes sometimes felt dragged, but not so many times that one would complain. Although the actors in the movie are also quite famous and generally do their job well, some key dialogues feel forced and out of place (you'll know what I'm talking about if you watch it). “Watchmen” is a great action flick, a great comic book recreation, and a great movie in general. If you like the gritty, graphic nature of movies like 300 and Sin City, then watchmen is right up your ally. A must watch for the entertainment-junkie. One of the first archetypical superhero of the age is Superman who debuted in the first issue of Action Comics, in the year 1938, June 30th. That particular issue, in mint condition, has a collector's value of up to a million dollars. That'd be one really nifty inheritance, right? We're now in the era informally and popularly known as the “Modern Age of Comic Books”. Back in the beginning it was the Golden Age. Superheroes were god-like figures with unbending moral codes. The Silver Age came next. Superheroes were still god-like figures, albeit fallible. The Bronze Age came next, with comic books tackling heavier issues and employing intricate plots with darker themes. And the Modern Age? Well. It's also called the Dark Ages. Go figure, eh? Alan Moore is one of the most notable known comic figures out there, writer of V for Vendetta, Swamp Thing and From Hell. He also wrote Watchmen. What if super heroes really existed? What if a few normal people took up the burden of honing their physical and mental abilities to the best? What if they took it upon themselves to be the defenders of the wretched innocent, of the downtrodden? What if they dedicated their lives to serving humanity, and what if they were suddenly outlawed? What about when one unfortunate individual was blasted into a trillion pieces by his own 'Intrinsic Field subtractor', thus becoming a god-like figure in the employment of the US government? Watchmen is set in the 1980s, and the tension between the US and the Soviet Union is really, really taut, thanks to the existence of Dr. Manhattan, the god-like superbeing, one of the protagonists of the series. The story begins with the death of one of the protagonists, The Comedian, a cynical and ruthless costumed super hero sanctioned by the government. Although dead, his personality and backgrounds, and pretty everyone else's, are revealed through the numerous flashbacks scattered around the series. The primary story mainly details Rorschach (yet another vigilante, one who operates outside the law, rather than submitting to the Superhero legislation of 1977 and retiring.) investigating into the murder of their friend, the Comedian. Rorschach believes that a conspiracy is under way to eliminate all the costumed superheroes. He convinces his former team mates about the conspiracy and they take up their mantle once again to find out the truth behind the murder of the Comedian. Alongside the narration, there's a fictional documentation further detailing the backstory, in all except the last issue. One of the characters also read a fictional comic series called the Tales of the Black Frieghter, a pirate story read by a black youth that has contextual implications. The mentioned flashbacks account the personal backstories of the characters, and how the world came to be as it is in the year 1985. The 12 issue mini-series is amazingly written, and although the artwork could have been better (remember, it was in written back in '86), the whole of the package more than makes up for it. A brilliant piece of work, Watchmen is lauded as literature (even though it's a comic, or graphic novel) for its amazing storyline, structure and style, finely detailed with allegorical subtexts, filled with depth and dark plots, the perfect read for the more mature readers, a paradigm of excellence in the Modern Age of comics, and of brilliant storytelling. The title God of War inspires an adrenaline rush in anyone who has played the game before. But is it any good on the PSP, a handheld which obviously doens't have the power of the console? The answer is an emphatic yes. 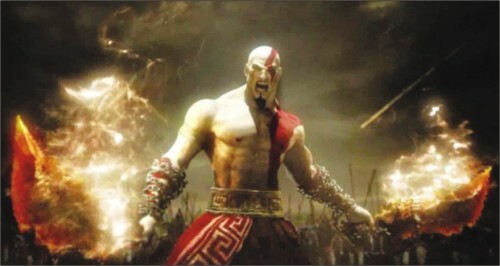 Plot: The game is set before God of War I, when Kratos is still a servant to the Gods. He is sent to defend the city of Attica, which has been attacked by the Persians, who've unleashed the Basilisk on it. It's not the basilisk of Harry Potter, mind you. But it is a gargantuan fire-breathing lizard. Anyway, after Kratos dispatches of the Persian invaders, he sees the Sun drop from the sky. He discovers that Helios, the Sun God, has been, well, Godnapped and that Morpheus, the God of Dreams has put the world, and even most of the Gods, in a deep slumber thanks to the darkness. Kratos must find Helios and return him to the sky. But Kratos doesn't really need a plot, does he? 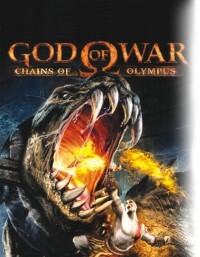 Gameplay: The gameplay is similar to other God of War games. It is the same tried and tested formula that was the cause of the success of the console games. The action is still fabulous and the combos flow into one from the other smoothly. Basically, you just kill everyone in your path and thanks to the button mashing mini games, you do it with style. You collect red orbs from killing and breaking things to upgrade attacks. Collecting sets of Gorgon eyes and Phoenix feathers increases your health and magic meters respectively. The secondary weapon that deserves a special mention is the Gauntlet of Zeus, which is basically a punching weapon. It is vastly satisfying to see Cyclopes and Minotaurs, who take some time to kill with your blades of chaos, staggering from one good blow. The total game time comes to around 7-8 hours. You can, of course, try beating the game again at a more difficult level, or finish the 5 challenges of Hades. Graphics: The graphics are in four words, fantastic for the PSP. There's very little load time, and considering the PSP's graphics capabilities, pulling off a fighting scene with a moving elevator, 7-8 harpies, Kratos on a wing-ripping rampage flinging blood everywhere, without a single glitch, is quite impressive. Although fans who've played it on TV will feel slightly disconcerted, but they shouldn't really be complaining. Music score: The sound of the game sets up the ambience perfectly. It is so much fun to be on a killing spree with good provocative music. Verdict: This is a really, really cool game. One of the best on the PSP, hands down. Only gripes with this may be the fact that it's the same formula used once more, and the fact that it is so short. It leaves you wanting more, which is a pretty good idea from the business point of view. Bottom line, this game is a must buy if you own a PSP.